While for some it is a very fun experience and they love it, for others there can be nothing more traumatic. 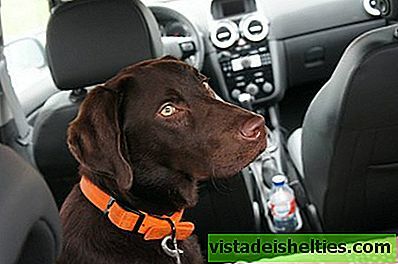 You want to know how to travel with your dog by car? So, do not miss the following article where we give you some tips. Not only that of the animal, which is very important, but also that of the other occupants of the vehicle. The dogs can not go in the front seat of the passenger, much less in the skirt of the driver. It is also not recommended that you go loose in the back seat or in someone's arms. If the car makes a sudden movement, turns sharply or stops quickly, the canine can crash or hit others. You can not hold with the belt for people because they are not entirely safe. The good news is that There are special belts for dogs that are bought at pet stores and that fit on the other belt. In this way the animal will be doubly subject and, in case of accident, will not move from the place. 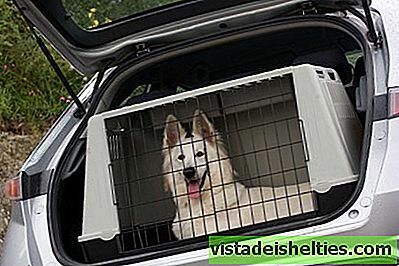 If the dog is small, a good way to take it in the car is placing it inside a special carrier, which you should turn into a comfortable space with blankets or cushions and maybe a toy. Do not place it on the seats (even subject to the seat belt) but on the floor, between the front and rear. In the case of medium or large animals that are subject to the harness, a good idea is to wrap the seat with a blanket or plastic sheet. This way you will prevent the car from becoming full of hair or dirt. In addition, it can be an excellent idea if the animal needs or vomits. If this is the first time you will travel with your dog by car, you can go up with the engine off to familiarize yourself with the vehicle. If the idea is to go on vacation to a remote place, you can start taking it for a walk near your home and at low speed. Little by little, the time the animal experiences this activity increases more. But, in addition, you must take it to places that are fun for him, such as the park. In this way will relate the car to outdoor games. The first time you upload it to the vehicle, other than to go to the vet, because that will be your association, the next time you want to take it somewhere would be more problematic. The stomach of your pet can be sensitive to the typical movements of a car. In some dogs, travel causes dizziness or vomiting. One way to avoid it is not to feed the 3 hours before the ride. Nor water. Try not to feed it in the stops you make, although if the journey is very long, you can offer a container with fresh water. As with small children, traveling with your dog by car can be a bad experience if the animal gets bored. Probably at the beginning of the walk you are expectant and attentive to everything. But with the passing of the hours, you may get tired and fall asleep. But if that does not happen, you must be prepared. Take a toy that does not make noise to entertain. On extended trips, we all have to go to the bathroom sometime. And this includes the pet. Also, stop in those places where dogs are allowed and before opening the door, make sure that you have a secure strap and collar. Do not let him descend alone and always stay by your side. Also at some stops there may be other dogs or car noises that disorient him.